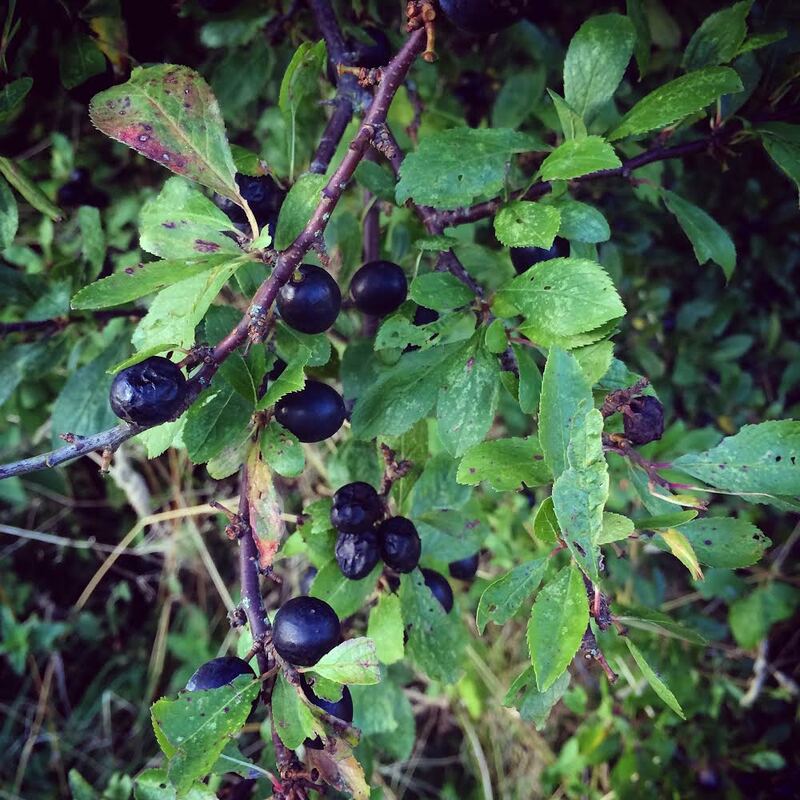 Oh so sloe-ly: how to make sloe gin. There is little more satisfying than sitting fireside in December and pouring a rich, fruity, sweet, sloe gin made by your own fair hands. Sloe gin is easy and enjoyable to make, makes great gifts for friends and family and quintessentially English. You need to start making sloe gin at least 2 months before Christmas, so now is the perfect time to get started. The heavy rains and drop in temperature this year means that there is a healthy slug of sloes about in Surrey and I enjoy nothing more than foraging the hedgerows near my home to find these glorious berries. 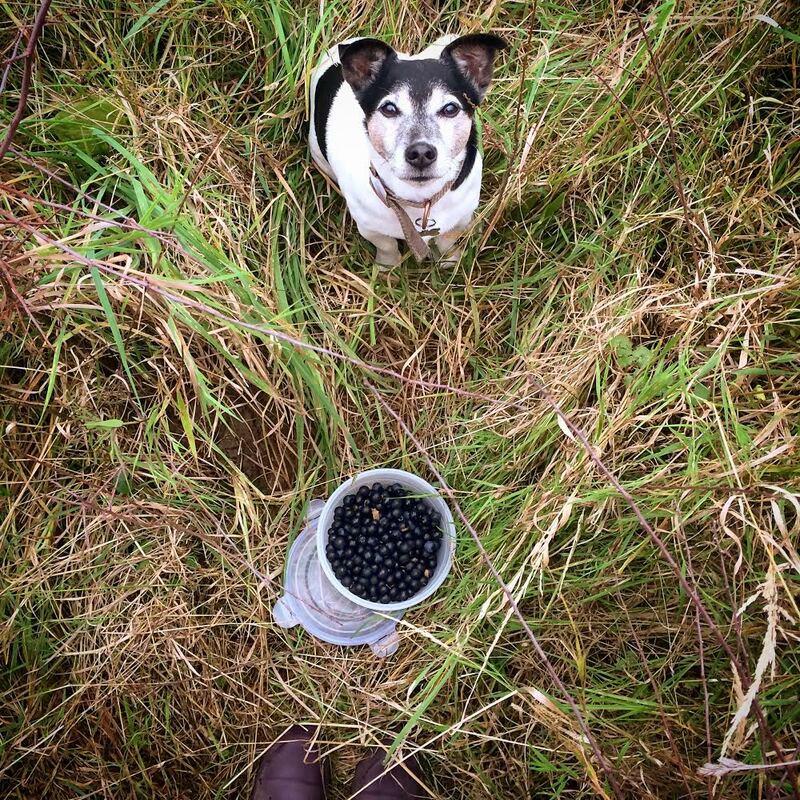 This weekend I went out with official Gin Club mascot, Charlie Noodle dog, to hunt out some sloes and we came home very happy with a solid crop. What if you can’t find any sloe’s near you? Easy. Pop onto ebay and a lovely kind farmer will send them to you! If you live near London, try using The Fruit Map (although bear in mind most foragers don’t like sharing where the top spots are!). 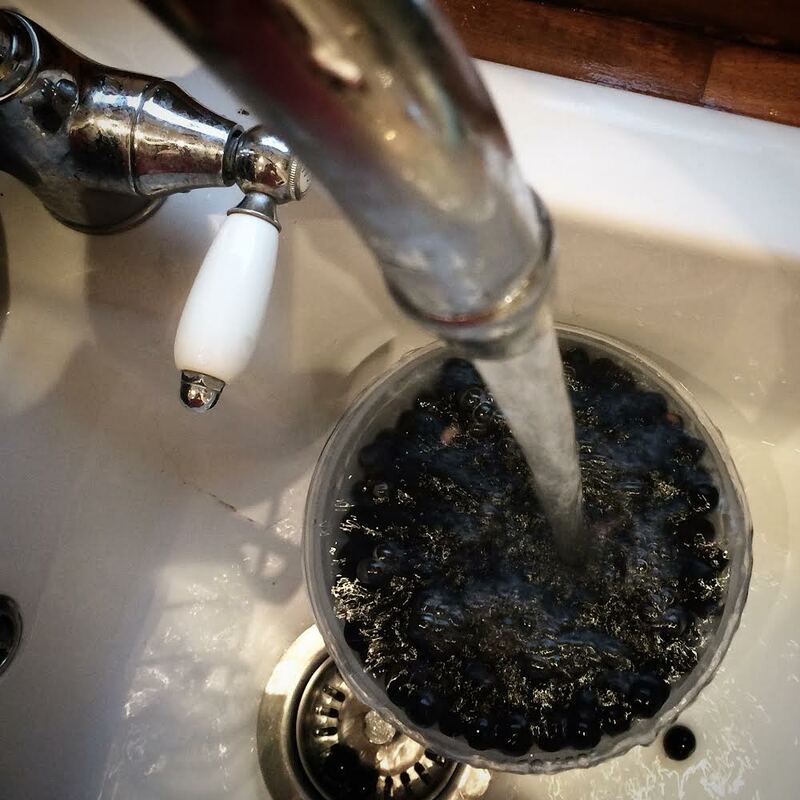 It’s so simple… Rinse your sloes well, score or freeze the sloes to break the skin and add them to a glass bottle or jar. They should be added until almost half full. Top up with gin. Taste before bottling and add a simple sugar syrup to taste. Added extra: A vanilla pod or a crushed, raw almond. Add sugar (now, two schools of thought here – some add sugar upfront, some prefer to add it at the end, to taste. If it’s your first time, try both methods and see which you prefer). If when you press the sloe between your finger and thumb, it gives and feels like it might burst, it’s ripe. If you use unripened sloes, you will have a very bitter sloe gin on your hands. 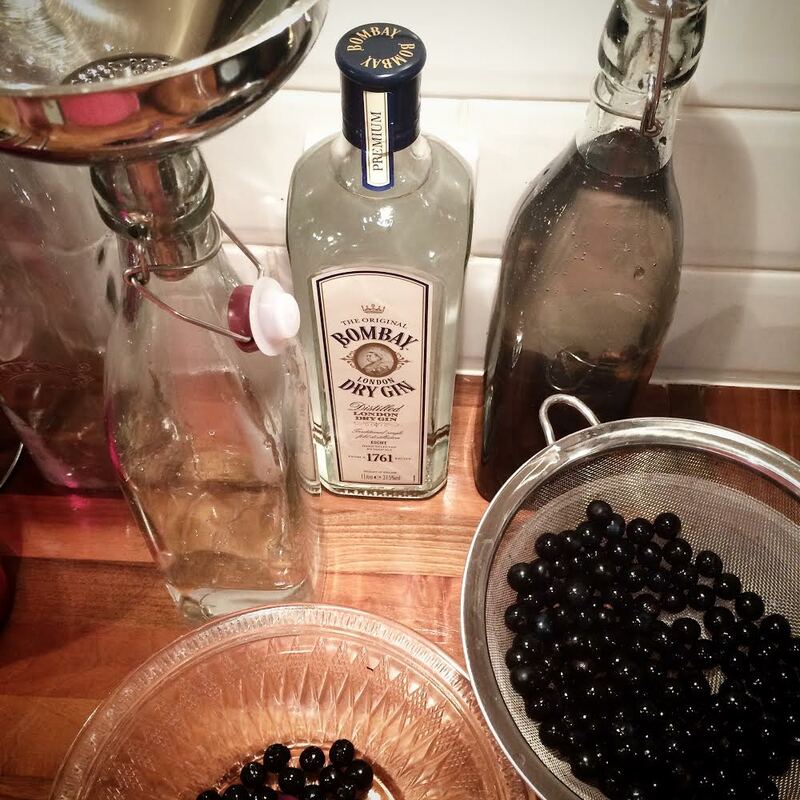 The sloes need to have their skin scored slightly to let the gin in and the flavour out. There are a few ways of doing this, but by far the best is to freeze the sloes overnight so the skin bursts. This replicates the first autumn freeze if it hasn’t been yet. Some prefer to prick the skin with a clean pin or, as legend would have you believe, it should be done with a thorn from the same bush you collected the sloes from. Some score the skin gently with a knife – but be careful – fingers are vulnerable! It doesn’t have to be a craft, boutique, top shelf gin, but it really shouldn’t be a supermarket own name brand. 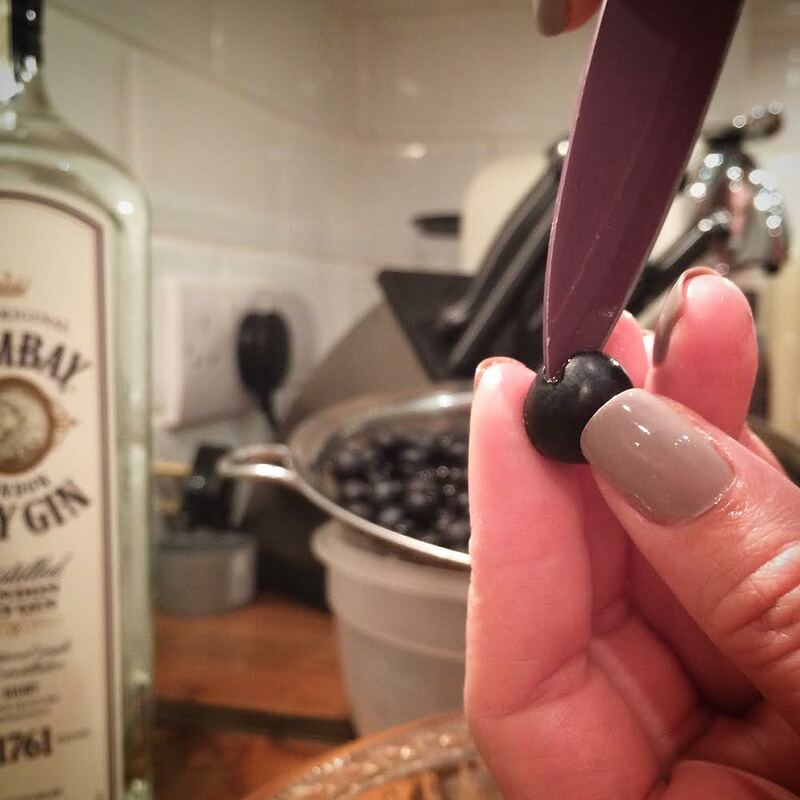 Sloe’s are wonderful things, but they can’t disguise poor quality gin. The better the gin you start with, the better your sloe gin, of course. We used Bombay London dry here, which was just fine, but do try a bottle of two of top shelf gin once you get more experienced! And that’s it. 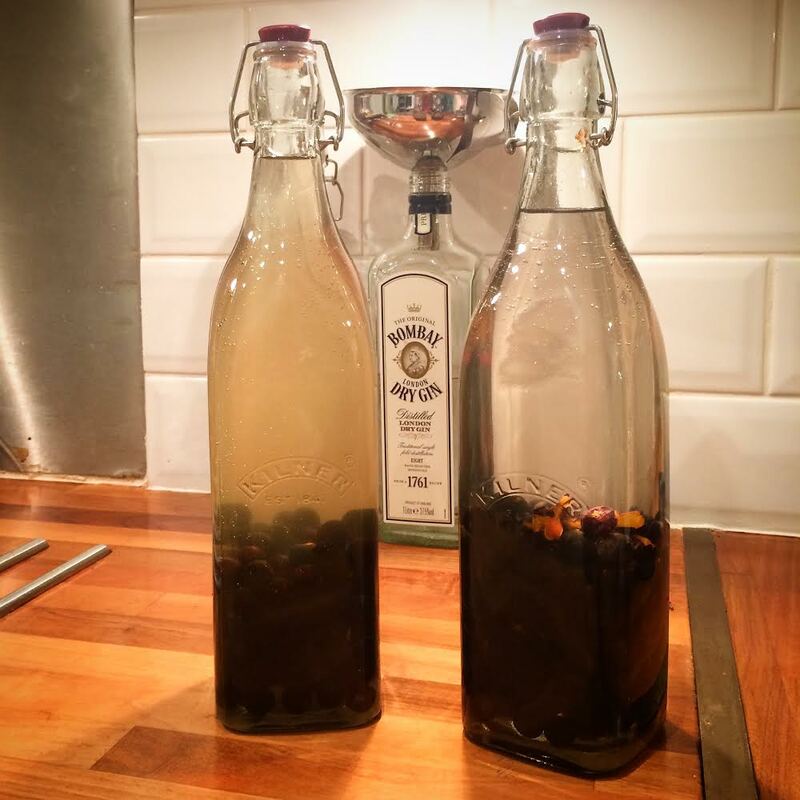 Enjoy making your sloe gin! For those who don’t feel like making their own, my favourite is Sipsmith Sloe Gin. You and I both, Jessica!